Prime Minister Renzi claims the changes to the constitution will boost Italy’s stagnant economy, unemployment is high and the flicker of a recovery was snuffed out earlier in the year. Opinions are divided on the pros and cons as demonstrated on the streets of Rome:’‘I voted ‘yes’ because I believe that the reasons of the ‘yes’ camp prevail over the ‘no’ camp even if the reform has its disadvantages. So streamlining, the removal of this ‘perfect bicameralism,’ that I find redundant, born out of history in the post-fascist era…basically I am convinced by this streamlining,” said one voter. “I don’t like this constitutional reform for a simple reason: I believe that fundamental rules have to be shared by all political parties and not to be approved by relying heavily on a majority vote, so I don’t like the arrogance with which the reform of the constitution has been proposed,” opined another. 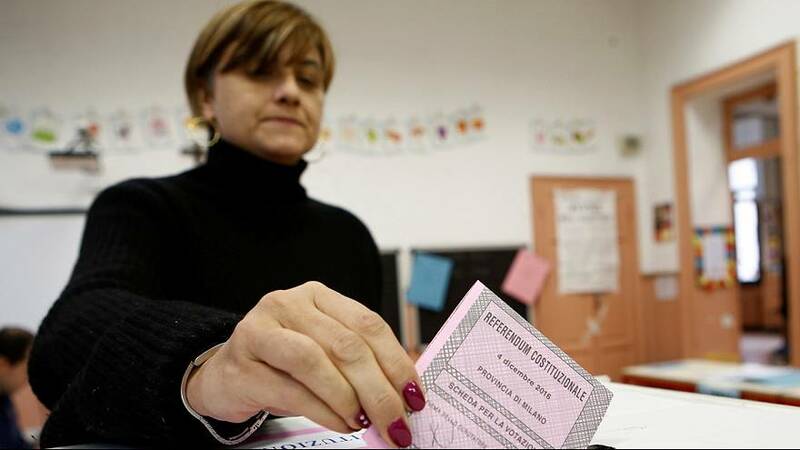 The leader of the Five Star Movement, Beppe Grillo, has described the proposed reforms as a fraud and urged the electorate to vote with guts not head.